Going Paperless with Medical Records is More Than Just Eliminating Paper. Maintaining organization in a medical office can be quite the task. Between the influx of patients, piles upon piles of said patient records to keep track of and keeping an efficient flow in between, things can get pretty crazy. One solution to keeping your medical office in check? 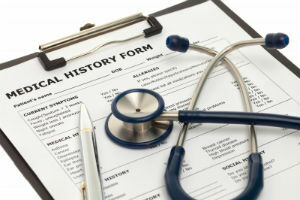 Paperless medical records. We live in an age of instant gratification, and nothing says “instant” like the power of digital data storage. Not only is it a viable option on a time scale, but the financial benefits it provides will create a more efficient atmosphere to help your practice focus on patient care rather than digging through file cabinets to locate a file. 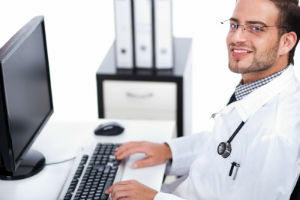 There are tons of reasons why paperless medical records make for a more efficient practice, but let’s discuss some of the finer perks of the transition to digital file storage. For a first time patient (or any patient, really), walking into a medical office filled to the brim with clutter can leave a less-than-desirable impression. In fact, neatness is one of the many factors that affect a patient’s first impression of your medical office. A huge clutter culprit in any office setting is the presence of boxes filled with dated documents. While it’s understandable that certain documents must be retained for legal reasons, it doesn’t mean they should be stuffed in boxes and taking up space in your office. Scanning these documents and storing them on a digital platform can eliminate the need to hoard these boxes, which already makes for a cleaner looking office. Searching for numerous medical records with a waiting room full of patients can become a bit stressful. It can also be a pretty time consuming process.Think of the time it takes to search through boxes or file cabinets for one document. This is time that could be spent on providing a more positive experience for patients, and we all know time is everything. With paperless medical record storage, searching for patient records can take seconds. At Document Scanning Services LLC, our use of document indexing allows clients to keep their files stored in a “digital file cabinet”. This means that they can search for documents by name using either full-text or metadata indexing–cutting the document search process almost entirely. Aside from the aesthetic impact of walking into an office cluttered with file cabinets and boxes, what does this impression say about the safety of patient records? These kinds of records are highly confidential, so treat them as such. Document scanning guarantees a much safer environment for medical records and can ensure that only authorized personnel have access to sensitive documents. Physical documents can always be misplaced or lost amongst stacks of other paper, and that’s just something no medical office can afford (especially with the health industry’s strong values of confidentiality). Digital file storage keeps all of your documents in one organized, protected platform. Achieving efficiency in the office doesn’t only mean keeping documents organized. When running a medical office, budgeting is just as conducive to growth. The money spent on printing (and reprinting) documents adds up over time. Not only does it cost money to print documents, but keeping medical records in a storage facility also increases monthly expenses. Scanning documents for digital storage can help cut costs on a long term scale. The money you could be saving can go towards better medical equipment, staff expansion and even a larger office space. Some industries don’t see document scanning as a necessary tool to running a business, but once they see how digital file storage revolutionizes office efficiency, it’s hard for them to imagine working without it. Document Scanning Services LLC services a variety of industries via document scanning services, including medical offices. The process is simple and straightforward: just provide the documents you wish to scan and we’ll take care of digitizing them with the utmost care and protection. Contact us today for a free scanning quote and ask us how we can help increase the success of your medical office via paperless medical records.